We fixed the nameplates to the entrances of the first 115 households at the temporary housing site on Saturday, May 28th. 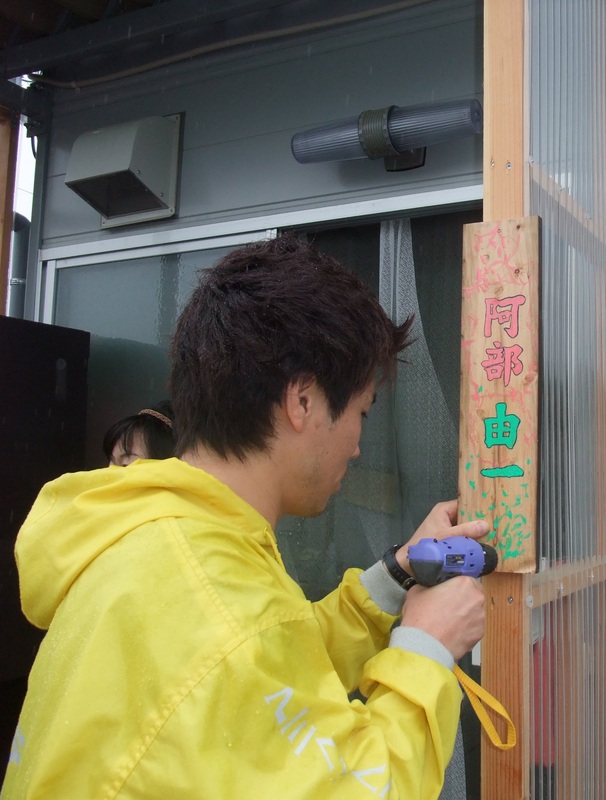 We visited every household along with 10 other volunteers from within and outside the town, including some from as far away as Miyazaki in Kyushu, in the south part of Japan, and the 5 local junior high school students who had helped make the nameplates. We handed the residents the nameplates which were blessed with a lot of good wishes. The residents received the nameplates saying, “Oh, great! Can I really receive this? Thank you!” “You’ve made this so beautifully! Thank you very much! ” We were very pleased with their reactions. We are going to make such nameplates every time new residents move in, eventually making 420, in total, for all the households. 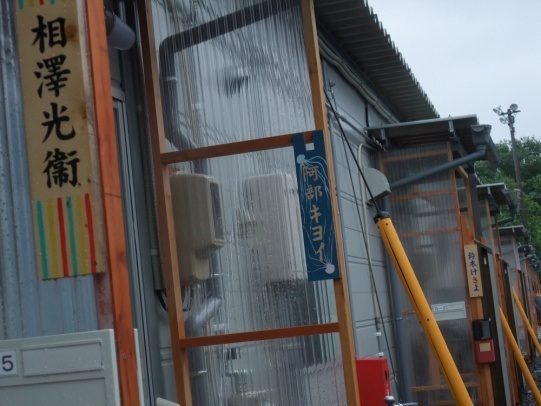 Reported by Musubu Matsuura, a local volunteer, from Shichigahama, Miyagi, Northeastern Japan.